LEADS Canada is proud to be collaborating with Community Health Ontario (CHO) in its launch of the LeaderShift leadership development project. The LeaderShift project is the vision of CHO. This alliance of four provincial associations believes that leaders in community and primary healthcare are well-positioned to make a critical contribution to an improved and more integrated health system. LeaderShift is an ambitious, new cross-sector initiative that gives current and emerging leaders in community and primary healthcare the opportunity to develop their abilities, ignite collaboration, and participate in shaping the future of our healthcare system. The online LEADS Community for Practice enables members to interact with others across Canada who are also using LEADS in a variety of ways and settings. Membership in the LEADS Community for Practice provides access to discussion forums, leadership development research articles and LEADS resources. Members are encouraged to share their resources, experiences and learnings on the implementation and integration of LEADS to facilitate its’ use in new settings and in new ways. The uptake of LEADS across Canada has been amazing. This will allow health system leaders to share a common language when leading system change for improvements. Accreditation Canada has implemented the Leads framework by providing 360 feedback to management, incorporating it in its ongoing performance appraisal process and reaching out to all staff through education sessions. We have found the initiatives to support us in having a common language, setting goals, building a succession plan for the organization and increasing collaboration within the organization. It is important to recognize that it should be relevant to everyone in the organization to really build leadership at all levels. The Succession Management Toolkit developed by Hamilton Health Sciences (HHS) is based on best practice evidence, HHS experience and application. 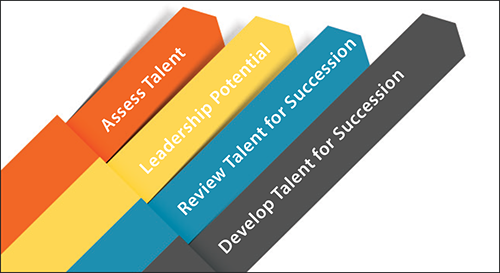 It provides leaders with approaches, tools, and templates that guide organizations to assess, evaluate, and develop their top talent; those who wish to grow their leadership potential and career within the organization. Building internal top talent retains top performers, builds leadership capacity, and preserves experiential knowledge only obtained by existing talent. 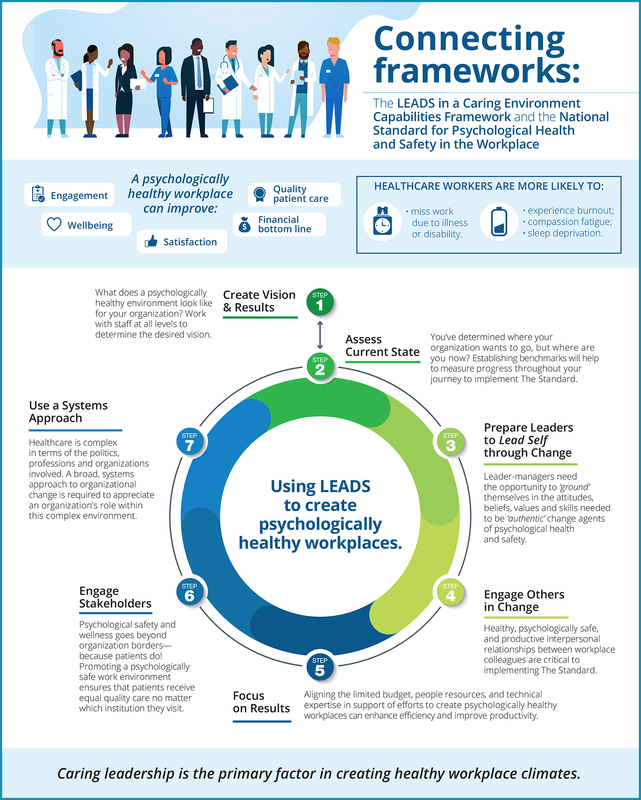 Connecting the National Standard for Psychological Health and Safety in the Workplace and the LEADS in a Caring Environment framework. Commissioned by the By Health, For Health Collaborative, the Mental Health Commission of Canada, CHLNet, and LEADS Canada, partnered to develop a crosswalk between the National Standard for Psychological Health and Safety in the Workplace and the LEADS in a Caring Environment framework. The report is now available online! Does your organization need support to develop successful LEADERS? The LEADS 360 Assessment is a feedback process primarily for development purposes. It focuses on leadership and takes the capabilities identified in the LEADS in Caring Environment capabilities framework and identifies sentinel behaviors that would be exhibited by front-line, mid-level, senior, or executive level leaders. Visit our LEADS Services page to learn more. To learn how to implement the LEADS 360 Assessment in your organization, contact Kate Lawrie, Administrative Coordinator, LEADS 360 Support at klawrie@leadscanada.net. Visit the LEADS Bookstore to order. This book describes what it means to be a leader in today's world and the key challenges to better leadership in our health system. Now available through the LEADS Bookstore! Tri-namics is based on self-directed and sustained learning. Tap into your own and the intellectual capital all around you and go beyond to access your personal and collective wisdom with this resource at your fingertips. Visit the LEADS Bookstore here!